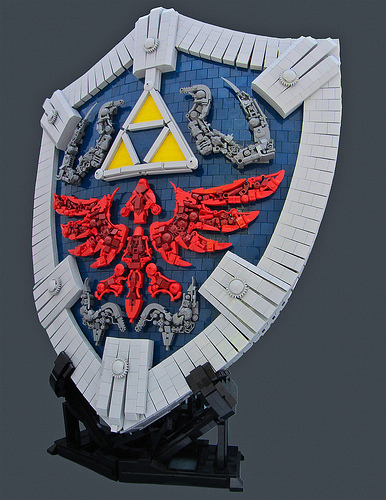 Fans of the Legend of Zelda will immediately recognize the Hylian Shield, a must have when crossing through the Goron Mines. Remi Gagne (Bolt of Blue) has masterfully recreated the Twilight Princess version. The shield emblems are spot on and brilliantly executed. Wow….just wow. There are no words right now other than wow.